An alternate history. A possible future. Regardless of how you look at Leviathan by Scott Westerfeld, the conclusion is this: Whoa, cool book! An alternate history – In 1914 Archduke Franz Ferdinand and his wife were assassinated. Their deaths, coupled with other circumstances in Europe, brought about the beginning of World War I. Instead of three children, Leviathan gives Franz Ferdinand and his wife only one son, Aleksandar. Whisked away in the night after his parents’ deaths, Alek dodges the pursuing Germans in an attempt to reach neutral Switzerland. A possible future – Alek escapes in a Cyclop Stormwalker, a two-legged machine created by Austro-Hungarians and Germans. Clankers, as they are known, have created all kinds of machinery including aeroplanes and fortified walkers, one an eight-legged, thousand ton frigate called the Herkules. 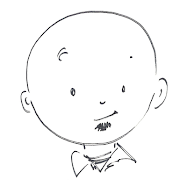 Deryn Sharp, called Dylan, works for the British Empire who, allied with France, are called Darwinists. They have harnessed and mixed different creatures’ DNA to create new “beasties” designed for specific roles. Bats that fire ammunition, bees that provide food, and a whale that flies thanks to hydrogen filled sacs like jellyfish. (Or something like that.) This creation is Leviathan. Whoa, cool book! – From Alek’s late night escape (Is it a kidnapping? A daring escape?) to Deryn Sharp’s transformation from fifteen-year-old girl to a sixteen year old boy enlisted in the British Service named Dylan Sharp, Leviathan is a fast paced adventure on two fronts. Readers follow Alek’s dash for the Switzerland border, his crew’s thievery of necessities, and Alek’s own mistakes that nearly give him away as the son of the assassinated Archduke. At the same time readers read about Deryn/Dylan’s enlistment, how she nearly sailed solo across the English Channel on her first day, and came to be a valued middy on the Leviathan. Eventually Alek and Deryn’s paths cross. Just as Alek and his companions think they’ve reached safety from the war, the war comes to them. Darwinists and Clankers are all around, each thinking their creations are superior and neither trusting the other. Even more important is that Alek and Deryn must trust each other in order to survive and escape. There’s a lot of reading here, and as the end of the book got closer, the end of the war got further and further away. This bugs the heck out of me – thinking that a story simply cannot reach its resolution in the pages that are left while I’m still reading. 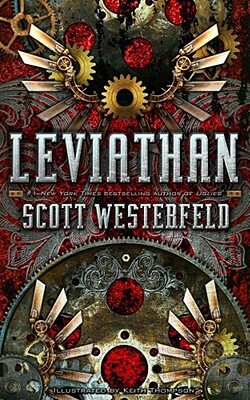 Turns out I didn’t know that Leviathan is the first book in a trilogy – Whoa, cool trilogy! – with Behemoth coming out in October 2010 and Goliath in October 2011. The outlook wasn’t brilliant for the Vesper Two that day. The score stood eight to one, with but one inning left to play. And left the boys no chance to get the tying runs to home. And hope can grow to certainty within the human breast. The mound, though, held their elder who was set to slam the door. His breaking ball broke right or left, two feet, yea, even three. Two boys came up, two boys went down, two boys without one hit. But when one out remains, the door lies open just a bit. The old man’s Son had smacked a timely, rally starting double. That well-timed two-base hit foretold the man’s impending trouble. A frozen rope unhindered by the stiffly blowing breeze. Resounded off the porch and cut their deficit by one. Nor could he blame it solely on the Wiffle’s aerobatics. Imaginary runners filled imaginary bases. A blind man could have seen the joy displayed on both boys’ faces. Due to chances lost and opportunities not taken. His Son was up. What did he do? He plunked him in the back. The Neighbor Boy cried, “Charge the mound!” His fists displayed his form. His words were meant to trigger the potential building storm. With courage, grit, and fortitude, he squared up to the plate. His son, a backyard legend born, let loose a hit again. When Son’s base hit allowed the boys to live another day. And hit a shot that would cap off this epic comeback conquest. A fastball came, and most would think ‘twas from a cannon shot. The Neighbor Boy was many things, but Casey he was not. A blast to let all comers know these boys were here to stay. Until it came to rest beyond the distant, planted pine. The comeback one boy did begin, ‘twas finished by the other! Of multiple rematches stretched throughout the rest of summer. I had much more fun writing this than experiencing the events it documents. Ah, who am I kidding? I'd lose in walk-off fashion to my eight-year-old and the rest of the neighborhood kids every day if given the chance. UPDATE: Two Boys at the Bat was included in the August EXCURSIONS Journey To Health Wiffle Ball Newsletter. 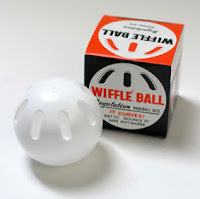 To go along with the newsletter, I posted a photo tour of The Flower Garden, our backyard Wiffle Ball field where the story took place, as well as a reader challenge on Help Readers Too.